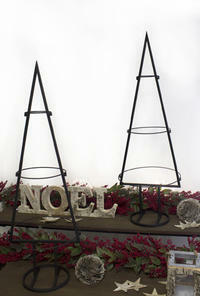 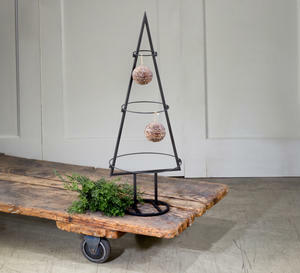 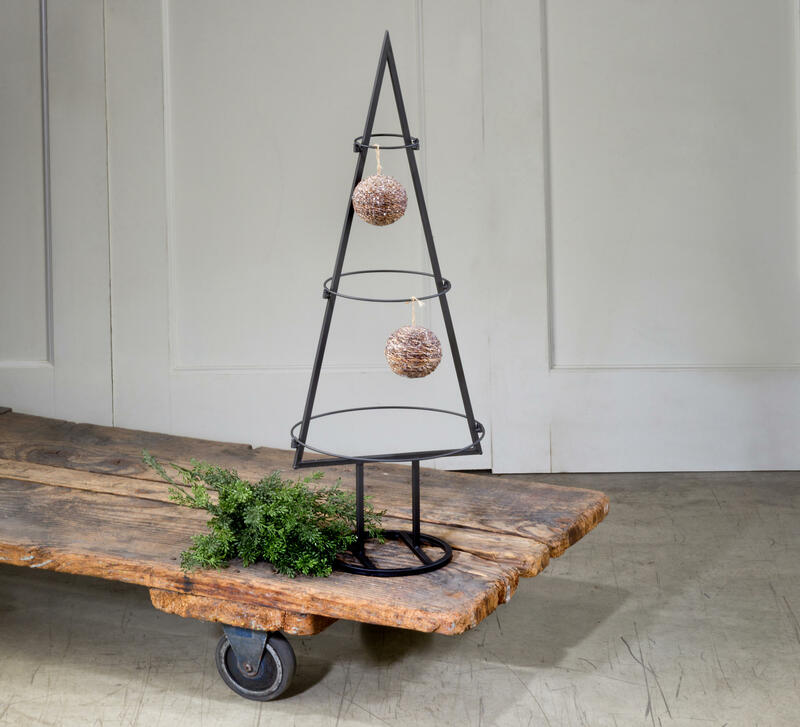 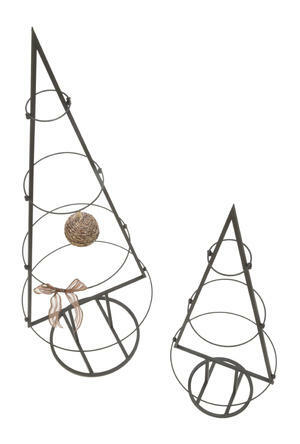 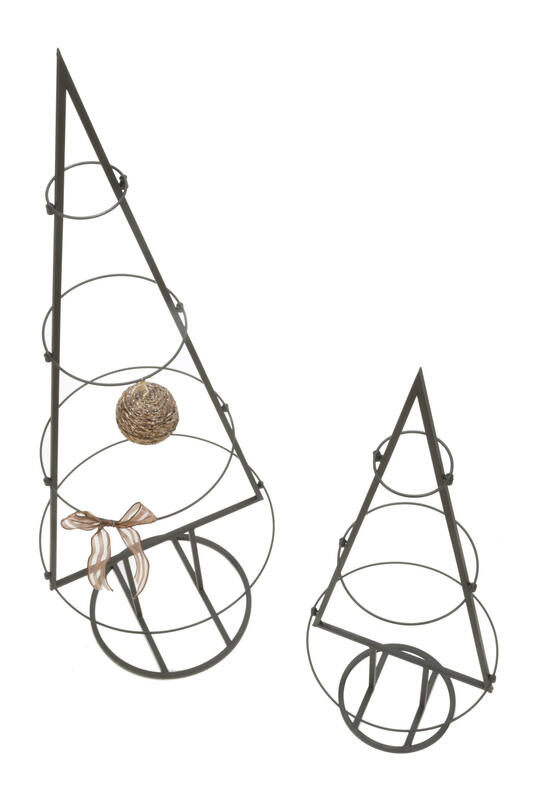 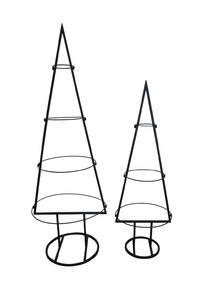 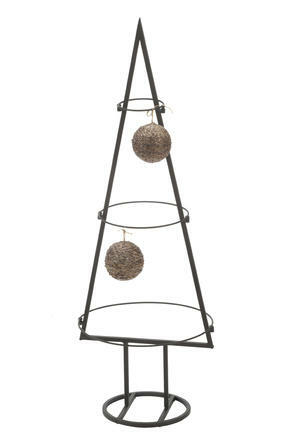 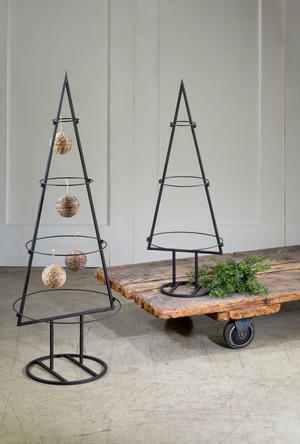 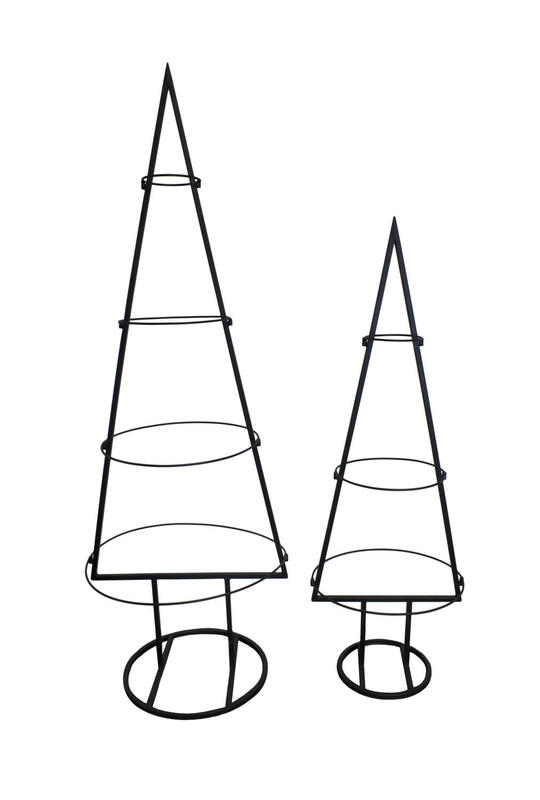 Metal Tabletop Ornament Trees - Tripar International, Inc. 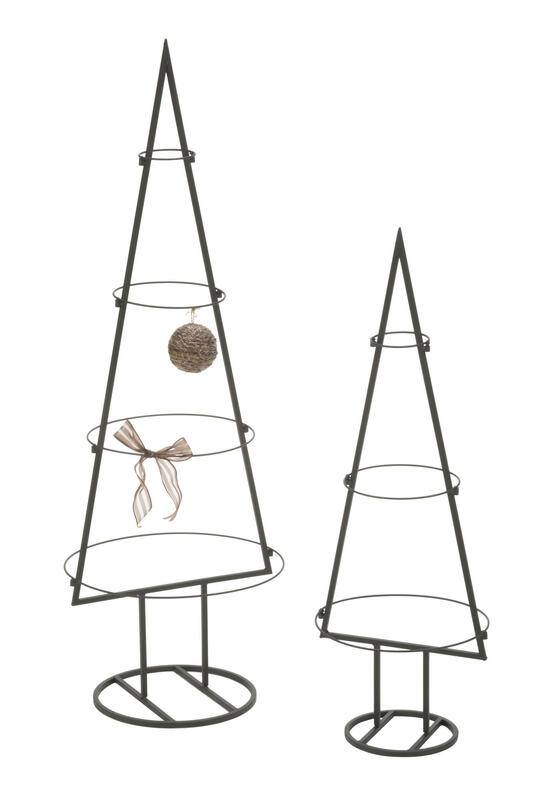 Create a unique Christmas display for ornaments, towels, bows and more without using the traditional tree. 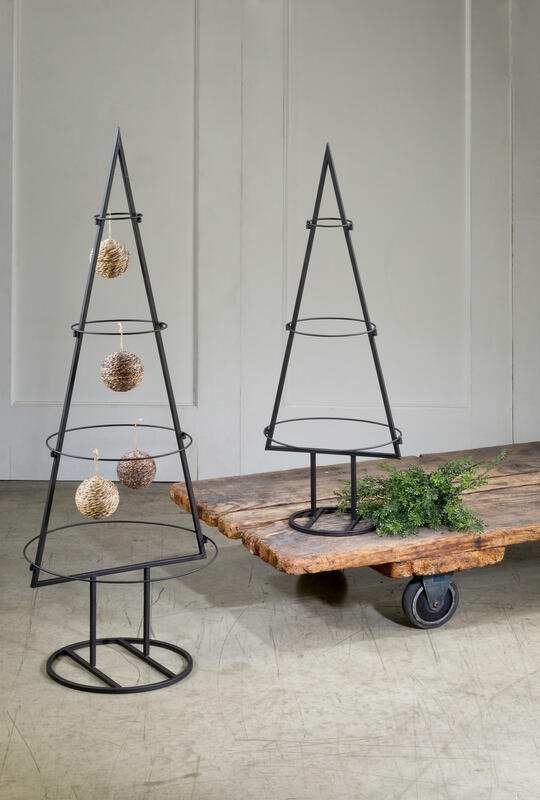 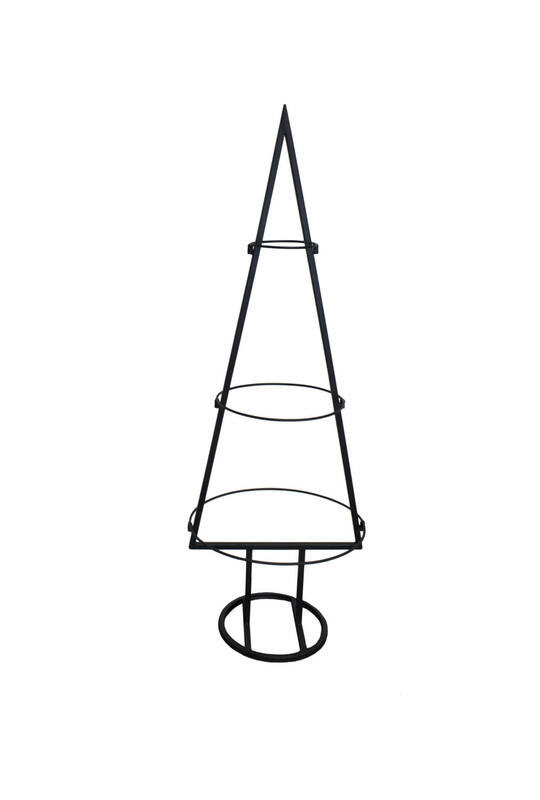 These metal, matte black trees bring modern holiday cheer to any room. 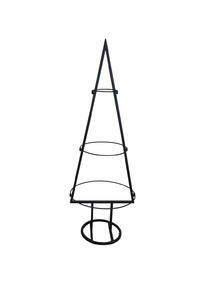 The tiered rings and base are removable for compact storage. Perfect for tabletops and small spaces. 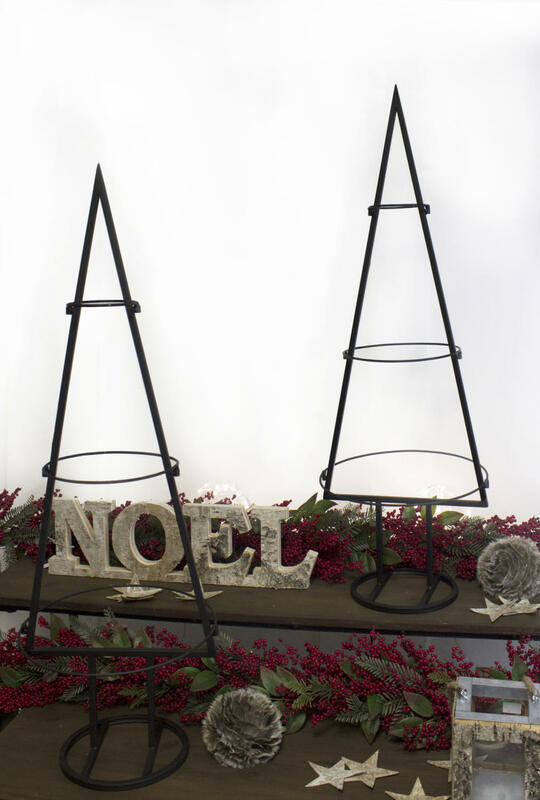 Large: L: 16" x W: 16" x H: 47"
Small: L: 12" x W: 12" x H: 35.5"